Like a lot of great ideas, SiteGround was a concept in the mind of a few friends during its inception in 2004. Unknown to them, SiteGround would explode into a popular web hosting service used by thousands upon thousands of people every single day. 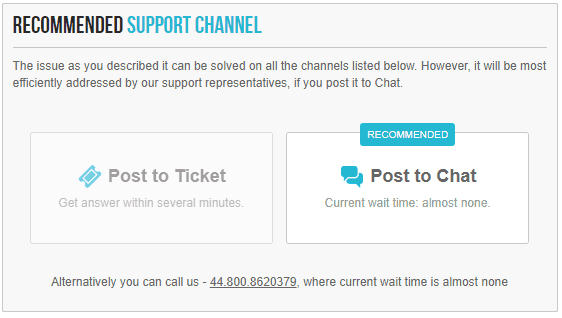 SiteGround now handle’s over 1,000 phone calls, 3,000 live support requests and 1,500 tickets every single day. Quite impressive, hey? SiteGround has a lot of different customization available in terms of the packages available. You can get shared web hosting, cloud hosting, reseller hosting and a dedicated server depending on your needs. This may seem like the ‘usual’ in terms of what you’d expect, but SiteGround’s features are out of this world. When deciding on a web host, there is a lot to consider, such as, what features the provider offers, where their servers are located, eCommerce opportunities, security, etc. SiteGround covers all of the basic requirements, as well as going above and beyond by providing helpful tools and features to enhance your website in terms of performance and quality, and provides an outstanding level of customer support, which we’ll cover in more detail later on. There’s three different levels of shared hosting available at SiteGround. This review is based on the “StartUp” plan. StartUp (£2.95/month): With SiteGround’s StartUp plan you’ll get 1 website, 10 GB web space, and all of their essential features. SiteGround say that this plan is ideal if you’re receiving 10,000 or less visitors on a monthly basis. A perfect solution for those with a small blog or personal website. 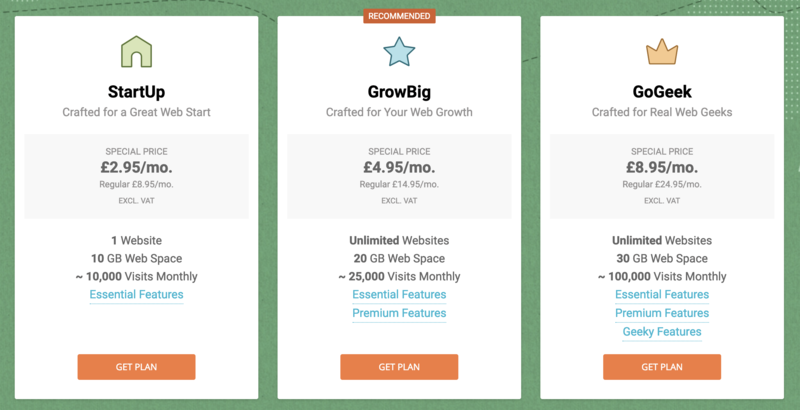 GrowBig (£4.95/month): The GrowBig plan is the middle-man, offering multiple websites, 20 GB web space, as well as essential and premium features. If you’re looking to expand your website’s traffic up to 25,000 visitors or less per month, this would be your best option. GoGeek (£8.95/month): For users who want multiple websites, 30 GB web space, and more premium features, the GoGeek package would be a suitable option. The Geek Advance features include Git Repository friendly software and you won’t share a server with as many people, so you’ll receive faster speeds and less downtime. Both the GrowBig and GoGeek include free site transfers from your existing host. Although SiteGround’s storage offerings may seem a little slim compared to other providers, you’d be surprised what’s behind the web host’s back-end. This is where I get my geek on later in the review! All of SiteGround’s hosting plans include managed WordPress hosting; that includes the ever popular 1-click installer, automatic updates, and command line management. Firstly, unlimited doesn’t necessarily mean completely unlimited, as you will find out if you delve into a web host’s terms and conditions. Secondly, most websites on average will not use more than 5GB storage space, so even on SiteGround’s most basic hosting plan, you’re getting double the average amount required. When you choose a web hosting plan with SiteGround, you will have the option to choose where the data center is located, covering the U.S., Europe, Asia, and the U.K. – although this may not be of concern to most customers, it’s a great feature to have, especially for a relatively new web hosting provider. Ease of use is a big concern for people who aren’t tech savvy. 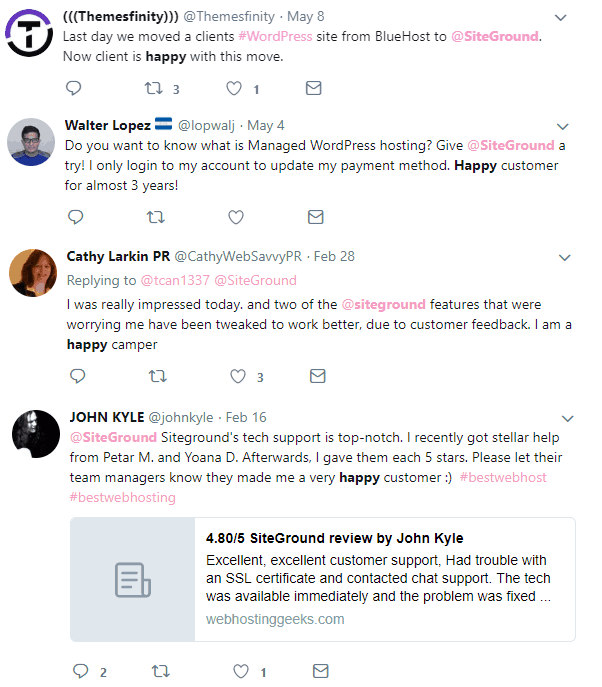 One of the great things that SiteGround has done for their users is they’ve made it so that anyone can install and understand how WordPress works. I’ll admit, when I first started my WordPress journey, I didn’t have the foggiest on where to begin! Web host’s like SiteGround ease this pressure and make the process much more enjoyable (trust me on this one). 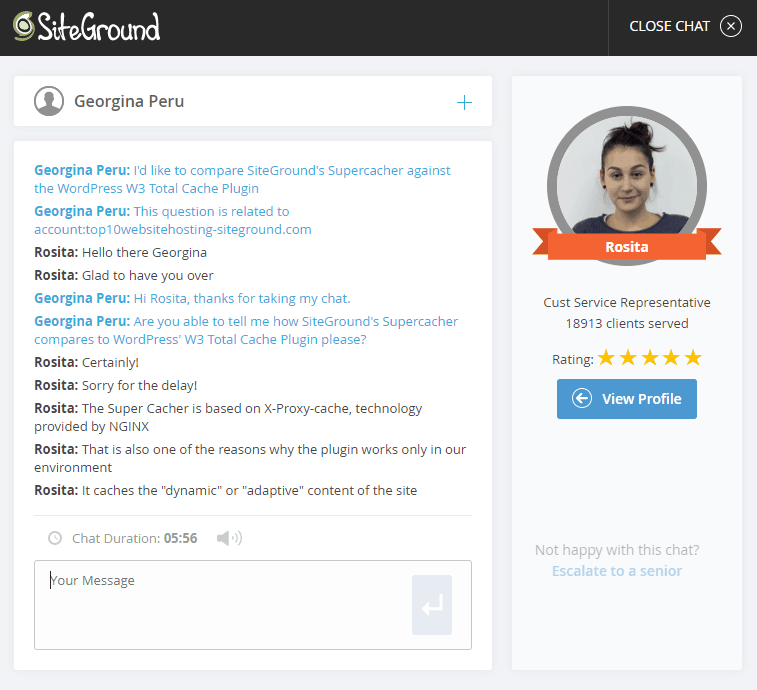 SiteGround’s account management system is self explanatory and user-friendly. It’s easy to add additional services, perform 1-click installations like WordPress, and navigate directly to your cPanel to manage your web hosting. I know this might seem like a lot of information, and may even not make sense, but that’s okay! SiteGround provide features that make everything easy to understand, and if you’re still stuck, their support are fab (I’ll get to this later). They allow for one-click install buttons for users of all hosting plans and they even have tutorials readily available for anyone to read up on about WordPress. If you opt to have a domain with SiteGround, it’s easy to see the status of your domain so you don’t have to continuously check your website’s URL to see if it has been propagated. This can sometimes take up to 24 hours, but this is normal with any web host or domain provider. For the web hosting backend, the user interface is really clean and smooth. It’s easy to navigate and you can clearly see where everything is. SiteGround did a great job with making sure the interfaces had great user interaction and that they were friendly to any kind of user (even me)! 2018 was a BIG year for SiteGround (probably their biggest yet). SiteGround put a lot of their time and effort into improving their site speed and performance, and this is why I absolutely love them (as do many others). In fact, their site speed improvements reflected in the monitoring I had been doing on my own SiteGround test site. Let’s look at some data from 15th December 2018. By this point, my test SiteGround site which was using WordPress was up (connected) for over 1681 hours – that’s 70 days without a single downtime! When SiteGround say they’re going to do something, they really do commit to their promises. 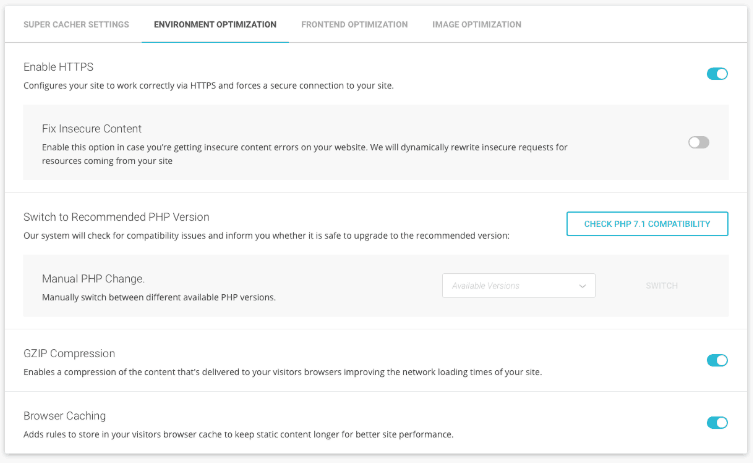 Their new version of SG Optimizer was a game changer for WordPress websites hosted by SiteGround. The update presented new front-end features which focused on image optimisation. As we know, image optimisation can make or break your website’s speed and SEO performance. SiteGround reports that many of their user’s websites experienced a 20% and 500% speed increase. That’s data not to be ignored! The caching capabilities that SG Optimizer boasts truly are worth investing in. The plugin is absolutely free and can be downloaded via the WordPress website. We wanted to closely monitor our sites on SiteGround for any kind of downtime or performance issues we might run into, so we ran a lot of vigorous tests trying to anger the SiteGround servers. This was especially interesting to me considering the claims that SiteGround was making about their new features. We signed up to a SiteGround plan in order to create a test website to monitor its results via Pingdom. Here’s what we found! Not many people realise that their web host can influence their website’s page speed and loading times, so we wanted to check out how our website’s speed was affected using SiteGround as our provider. The first results were recorded in February 2018 on our WordPress website. The details above show a load time of 1.63 seconds – an average user will abandon a website if it doesn’t load within 3 seconds, so our website is comfortably sat within that safe zone. Bear in mind that our website hasn’t had any optimisation performed on it whatsoever; so for a base site, that’s pretty damn good! Because of SiteGround’s major improvement projects over the course of 2018, I wanted to check out if this reflected in our testing later on in the year. I signed up to GTMetrix which analyses a website’s PageSpeed and performance. The results were fascinating. Although I’m a big fan of SiteGround myself, I wasn’t sure if the changes would be that obvious, but they really were! A performance increase was clear, with my PageSpeed and YSlow score receiving a grade A, with almost 100% results. My Page Load Time had decreased by a whopping 1 second (which is a lot in terms of site speeds). My Total Page Size had also decreased after downloading the SG Optimizer plugin. I optimised the few images that were on my test site, and the size was cut by just under 50%. If these results don’t prove that SiteGround really care for their customers, I’m not sure what could. I’m pretty gobsmacked to be honest. If you’re looking to host a WordPress website, SiteGround is an absolute no brainer, with hard evidence to show their page speeds and performance are worthwhile. We monitored our SiteGround test website over the week to ensure their performance was consistent. As you can see; spot on at 100% with no outages. This data persisted throughout the year and when there were any downtime blips, these lasted for no more than 1 minute. This amount of downtime, which never exceeded 1 minute at a time, is very reasonable. No web host can guarantee 100% uptime, but SiteGround continue to commit to a more than acceptable 99.99% uptime guarantee. Another important factor that we wanted to test was our website’s response time for those living in the U.K. and Europe. If your website doesn’t respond quickly, you’ll lose existing and potential visitors. We were happy to report an average response time of 498ms (that’s less than 0.5 of a second) against multiple European locations. Anyone visiting our SiteGround website, with WordPress installed and not even optimised, would be receiving our website data in under a second. Much like our speed tests and uptime reports, I wanted to check out my SiteGround website’s response time later in the year. SiteGround came up trumps again with some significant performance increases that I honestly didn’t expect. My site’s maximum response time had dropped over 100ms (yes, it really did)! This brought my average response time down to 380ms. Over the course of nearly 12 months, these improvements were staring me straight in the face, and couldn’t be ignored. The level of options and tools at your disposal will solely depend on the type of hosting you get and which plan you buy. All the standard options for web hosting are there, such as, cPanel, one click install software, but you also get access to free website migration, which is free of charge for one website. You’ll have access to a one stop management area which contains all of your vital information for your account. Billing couldn’t be any easier with the management area as well. Here are some of the tools you’ll get access to (with even the cheapest account), the StartUp package for shared web hosting. Some web hosts will charge extra for some of these features. Not SiteGround, oh no, they actually put their customers first! 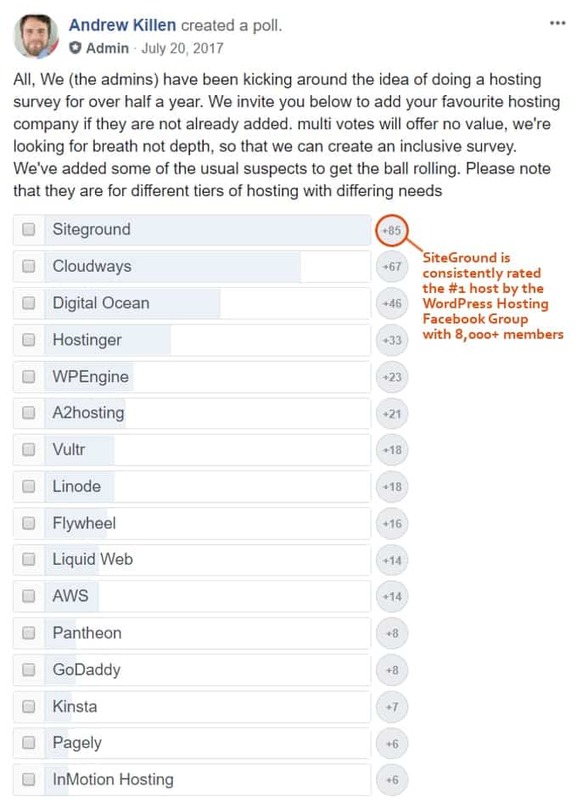 It’s probably the main reason why I will always vote for SiteGround as one of THE best web hosts. SiteGround have done a lot of work during the past 12 months to improve their security even more. SiteGround have always been very committed to ensuring that your website is their number one priority. They don’t just add security features and hope that will get their customers by, they make improvements – the results of which can be seen in this review. 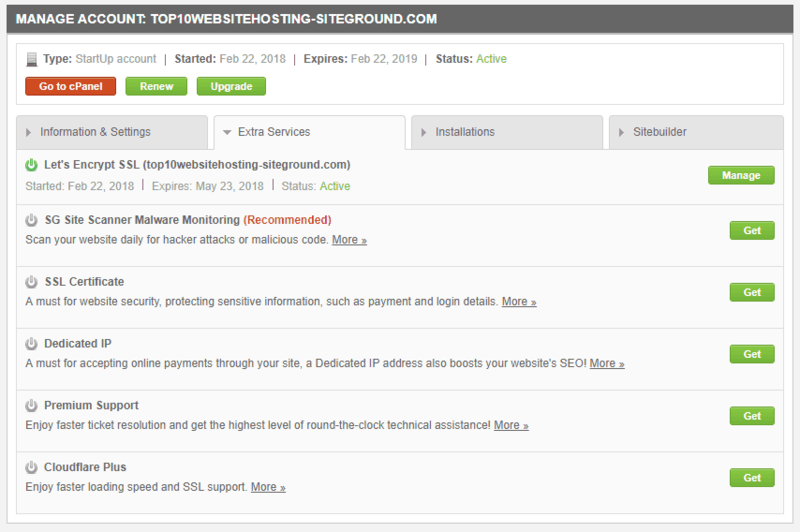 The SiteGround (SG) Site Scanner provides a scan on your website, and will alert you to any attacks that may occur. If your website does happen to get attacked, which is very unlikely with the security features covered by SiteGround, you’ll have access to SpamAssassin, IP blockers, and more to ensure that your website is clean and free of any viruses. 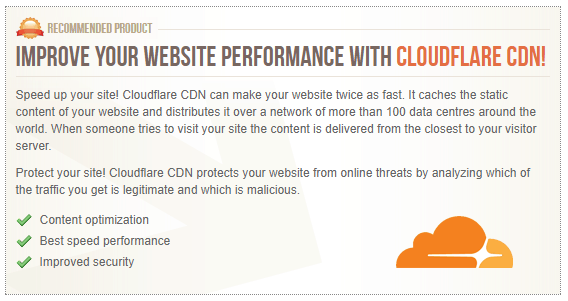 SiteGround provides integration with CloudFlare CDN, which offers exceptional performance and security, all completely at your disposal, for free. There aren’t many web hosts out there that offer CloudFlare for free, so we were really impressed to see that SiteGround offered this great feature. 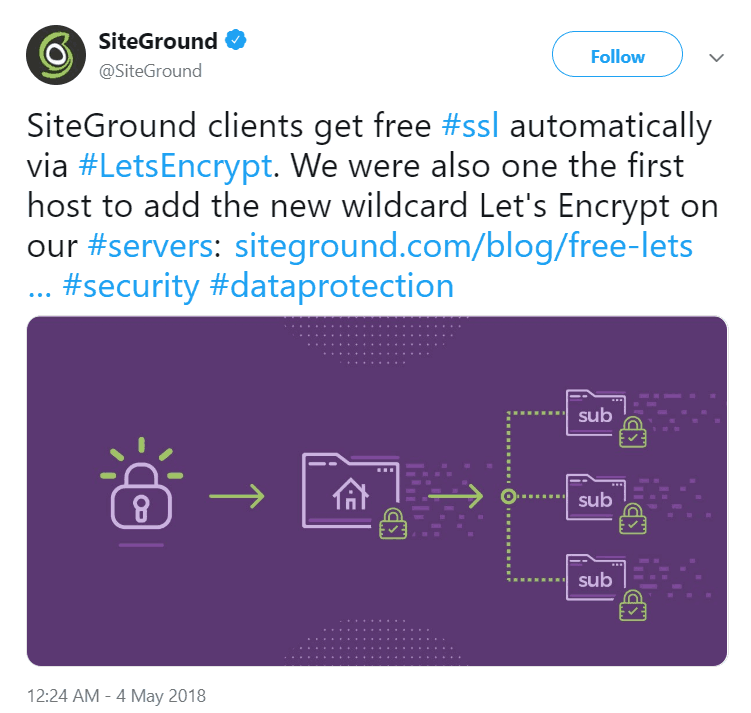 All SiteGround customers are entitled to a free Let’s Encrypt Wildcard SSL certificate. These are provided for your main website and any subdomains you have. Enabling your SSL certificate is really easy, it’s just a few simple clicks and then it’s done! SiteGround admitted they had a few teething issues when it came to renewing customer’s SSL certificates. Instead of admitting defeat, they tackled the problem head on and ended up streamlining the process. All SSL related issues were resolved and SiteGround confirmed that all their customers could enjoy the auto renewal without any problems. 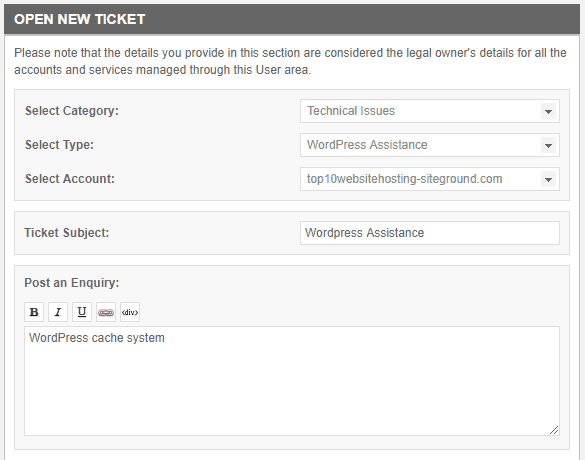 This is the kind of behaviour customer’s want from their web host! We understand that things go wrong – we’re all human and mistakes are going to be made. What SiteGround do is recognise problems reported by their customers and actually fix them. Not only that, they improve their processes which makes me love them even more! If you’re looking for a web host who provides a website building service, SiteGround uses Weebly as their choice. Although most web host’s do come with some kind of 1-click installation like WordPress, it’s not always the best option for everyone. Weebly is a great platform that allows you to create professional and stunning looking websites with ease, in a short space of time. It’s really simple to change layouts, add text, images, videos, etc. and is extremely user friendly. Being able to have that extra option of using Weebly is a real selling point for me. You get the choice of cPanel’s Softaculous 1-click installs, but also access to Weebly. And trust me, Weebly isn’t a website builder to be knocked! Within SiteGround’s control panel, you will have 1-click AutoInstallers served up to you on a plate, including the likes of PrestaShop, Magento, and CS-Cart (yes, I’m mentioning 1-click installs again). Many beginners may shy away from Magento, however, we found it very easy to create an attractive online shop, with a simple drag and drop builder. What’s more, SiteGround give you the tools to manage and keep an eye on your website’s statistics, providing even more useful information about your website. If you don’t require an entire store, and just need a shopping cart, or just need an invoicing or billing system, SiteGround covers all of those features too, so you won’t be searching around for too long! Remember, if you’re planning on having an online store, you’ll need an SSL certificate to ensure your website, shop, and cart are secure. SiteGround conveniently offers free SSL’s on all of their plans as well as premium SSL variations should you wish to upgrade. One of the mottos of SiteGround hosting is that they know people hate waiting for the next available agent so they aim to be one of the fastest responders in the industry. How do they hold up? With over 1.8 million registered domains, I was keen to see if SiteGround could continue to exceed my expectations. When we navigated to the support section, we were surprised to see how much information was available to us; in fact, our questions could be answered before even speaking to someone! We wanted to speak to someone though to see how quickly they responded to us, and to test their knowledge (otherwise, how could I make this fair). Something which sets SiteGround apart from other web hosts is the fact that they recommend which support channel to use based on their AI support system, and the question or information you have input beforehand. It’s also really handy for us to know how long we’d have to wait for a live chat; this kind of simple information is useful for those who may be in a rush and provides accurate real-time statistics. When we connected to our live chat assistant (within the space of 2 seconds! ), we asked how SiteGround’s Supercacher compared to WordPress’ W3 Total Cache Plugin. Not only was the advisor (Rosita) helpful, she went above and beyond to explain the technology behind their Supercacher. Rosita was polite and helpful throughout, no wonder she has a 5-star rating from over 18,000 users! Next, we used SiteGround’s support ticket system to see what kind of response we’d receive using the same question, and how quickly we’d receive a reply. We received a response from the ticket response team in a mere 8 minutes with a helpful and detailed response to our problem. Siteground’s customer service has always been highly praised among professional website owners, and in 2018, they continue their run of award-winning service with remarkably quick responses and fast, effective service. 5/5 of our test calls resulted in problems being fixed in under five minutes. In terms of customer service, SiteGround is hands down the best host for overall response times. SiteGround guarantees a 99.99% uptime guarantee, but we’ve only experienced 100%! You’ll get to choose between 5 data centers (Chicago, USA, London, UK, Amsterdam, Netherlands, and Singapore, Asia). I’ve tried so many different hosts out there but none have offered the level of support, speed and tools available for the price. If you’re looking for a personal website, or running a small business, SiteGround have placed themselves at the top of their game in these areas. 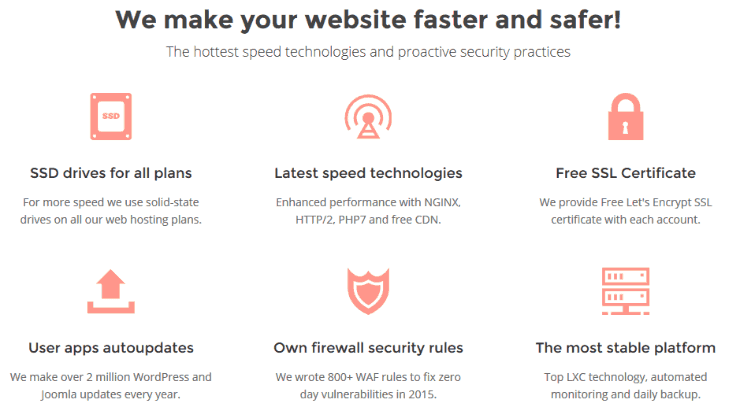 SiteGround’s security options make themselves a player in the eCommerce web host market, so if you’re just starting out, this web host could be a great choice to get you on your feet, providing anti-malware, and DDOS prevention. I’ve created a handy step by step guide from signing up to getting your first wordpress site live. Click here to check out the tutorial. They also offer a nice 30 day money back guarantee with no questions asked if you’re unhappy with the level of service you get (which won’t happen!). I really just think they’re the complete package. I personally use them across all my sites (including this one). I can’t stress enough about how AMAZING their customer service is. Anyway I could keep going on and on. Give them a go and tell me your thoughts!